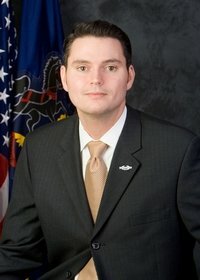 A spokesman for Pennsylvania state Rep. Nick Miccarelli stressed on Thursday evening that the Delaware County politician is an innocent man wrongly accused of abusive behavior and sexual misconduct. In a statement, spokesman Frank Keel also said the accusations by two unnamed former girlfriends are an "unfortunate byproduct" of the #MeToo movement, a hashtag that went viral on social media last fall and fueled sexual assault and harassment awareness in the aftermath of the disturbing allegations against disgraced movie mogul Harvey Weinstein. "It needs to be said that the #MeToo movement is laudable, but what about the #NotMe movement?" Keel's statement read in part. "Nick Miccarelli is an innocent man. An unfortunate byproduct of the #MeToo movement has been a tendency by too many people to rush to judgment in the court of public opinion." Keel sent the statement to media outlets soon after state GOP leaders called for the five-term representative to resign his House seat in the 162nd Legislative District. That came as Dauphin County District Attorney Fran Chardo said he will investigate the allegations, according to reports. The allegations were first detailed in a joint report Wednesday by The Philadelphia Inquirer and The Caucus. The women dated Miccarelli at different times between 2012 and 2014 and accused him in court filings of threatening, stalking, intimidating or physically or sexually assaulting them in separate incidents over the last six years, according to the report. They are reportedly requesting that he resign. Stephen Miskin, a spokesman for House Republican leaders, confirmed to the newspapers that the House had launched an inquiry into the allegations and that "law enforcement is involved." Miccarelli, a 35-year-old Ridley Park resident and a veteran of the Iraq war, strongly denied the accusations and reportedly told the newspapers that he had not been told about any complaints. "This entire process has been grossly unfair," Keel said. "Nick Miccarelli, like every other American citizen, has the right to due process. Nick fought in the Middle East to protect Americans' rights to due process. It's bitterly ironic that he's not being given the same right while he's fighting to save his reputation and career." In a lengthy statement posted by Philly.com on Wednesday, Miccarelli said the #MeToo movement had gone too far. "Unfortunately, I cannot disprove something that never happened, but I can tell you that these allegations, if true, would have been reported to the cops, the DA, or another law enforcement agency," he stated. "No charges were ever filed because these are complete fabrications." Gov. 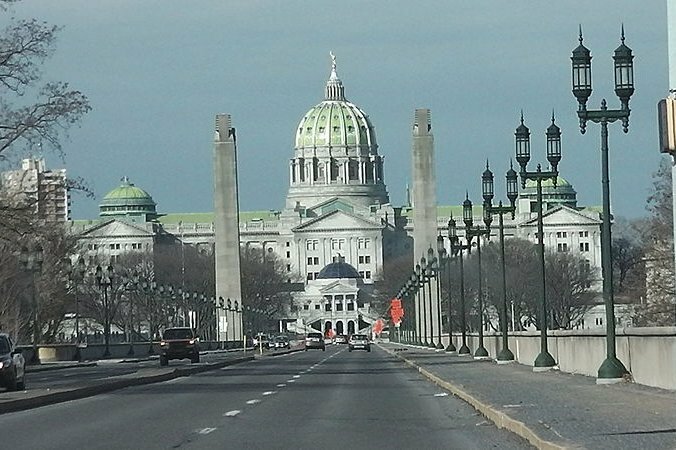 Tom Wolf and a number of Democratic House members called for Miccarelli's resignation on Wednesday. Keel's full statement is included below. Representative Nick Miccarelli is an honorable man and a patriot who has served his district and our nation with honor and distinction. He vehemently denies the allegations leveled against him by two unnamed, former girlfriends with whom he had consensual sexual relations before he was married. A short time ago, the State Republican Caucus suggested to Representative Miccarelli that he voluntarily resign his House seat rather than continue to fight to clear his name. Nick is currently not inclined to follow that suggestion. It needs to be said that the #MeToo movement is laudable, but what about the #NotMe movement? Nick Miccarelli is an innocent man. An unfortunate byproduct of the #MeToo movement has been a tendency by too many people to rush to judgment in the court of public opinion. Likewise, the suggestion that Nick resign is made before he's even seen the legal complaint, let alone been afforded the opportunity to defend himself. This entire process has been grossly unfair. Nick Miccarelli, like every other American citizen, has the right to due process. Nick fought in the Middle East to protect Americans' rights to due process. It's bitterly ironic that he's not being given the same right while he's fighting to save his reputation and career.